Who would think that in the north-easternmost region of the island of Luzon, particularly in Sta. 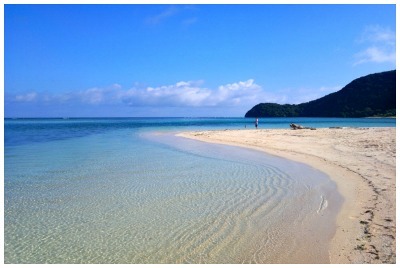 Ana, Cagayan, lie treasures such as famous beaches and other famous eco-tourism destinations, and marine resources. Sta.Ana town, an “untouched paradise,” a gateway to the Asia and the Pacific” is believed to be “Luzon’s last frontier” and “marine sanctuary” and the home of Asia’s first and only interactive gaming jurisdiction, the Cagayan Economic Zone Authority (CEZA) that attracts international visitors from China, Taiwan and other foreign countries. The commercial and industrial activities are also active at port Irene within the CEZA compound, which is one of the region’s major economic development indicators. Due to the economic and tourism activities in the area, the zone provides livelihood to the people and augments regional and national development. The seas are rich in marine resources, it is dubbed the fishing hub of the Cagayan Valley and it possesses hundreds of marine species. The rivers are a sanctuary to hundreds of species of fish aside from its black gold deposits, and the mountains are also full of mineral resources such as limestone deposits at Bawag Mountain, coal at Carbon Mountain, Santa Clara, and Guano deposit at Kapanikian Cane. Sta. Ana takes pride in its atmosphere, the white and golden sand, fresh blue water and the picturesque view of different beaches and marvelous tourist spots. Tourism Regional Director Blessida Diwa, said that Anguib beach is found in an area that is perfect for windsurfing and it will quickly gain popularity that will definitely boost tourism investment in the region. Sta. Ana has numerous reasons to compete with prestigious tourist destinations of the Philippines. The small islands, coves and beaches offer different types of adventures to tourists, different experiences that every visitor will cherish throughout their life. As Manny Cabili, president of the Philippines Windsurfing/ kitesurfing Association (PWA) said, Anguib beach is described as Boracay 30 years ago.